Moving home or office can be stressful and ensuring the safe relocation of possessions is a time consuming job. Here at Kerr’s we strive to take away some of that pressure. Helping you safely and easily move home without the added stress of packing, loading vans and unloading your belongings into new premises is at the core of our offering. 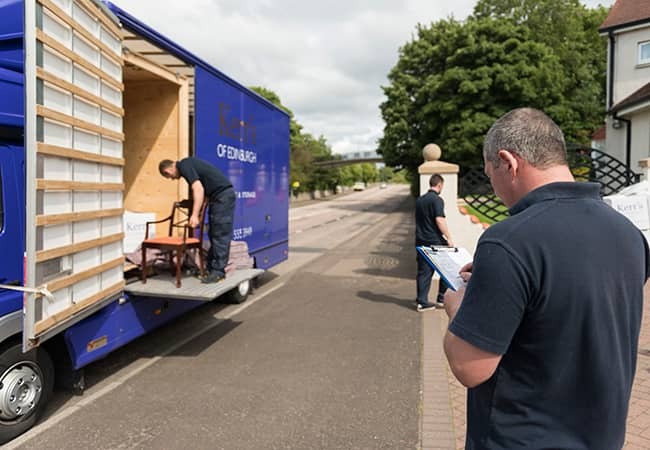 Choosing the right removals company for your needs will enable you to spend your time planning and focusing on the many other aspects of your move. The first thing to do, as with any product or service, is seek the opinions of family and friends. Who have they used? And more importantly who would they recommend? While search engines and online directories can be helpful in finding contact details, they’re rarely the best place to turn to when you start your search. Many local, cheap removal companies will feature high up in sponsored listings, and will tell you what you want to hear, but can you be certain of their credentials? This was the second time we used Kerr’s to move home and I would absolutely recommend them to anyone. The best place to check credentials is the British Association of Removers (BAR). BAR is dedicated to promoting professional excellence and is the recognised voice of the removals industry. It is at the forefront of developing and maintaining standards and services for the benefit of the consumer. As well as providing expert training to us, they offer professional advice to you, the customer. ReferenceLine is also a useful reference point as it provides independent reviews about the experience of firms, enabling you to make a more informed choice. Once you have shortlisted a few companies it would be worth arranging a visit. We offer free home surveys to all of our customers so we can clearly assess your move, explain the process and answer any questions you may have. When making your decision, be sure that the company you choose offers adequate insurance liability cover in the unfortunate event of a claim. You can’t afford to put your valuables in the wrong hands. Which leads us to the recommendation that you choose a company employing professional, reliable removals staff. 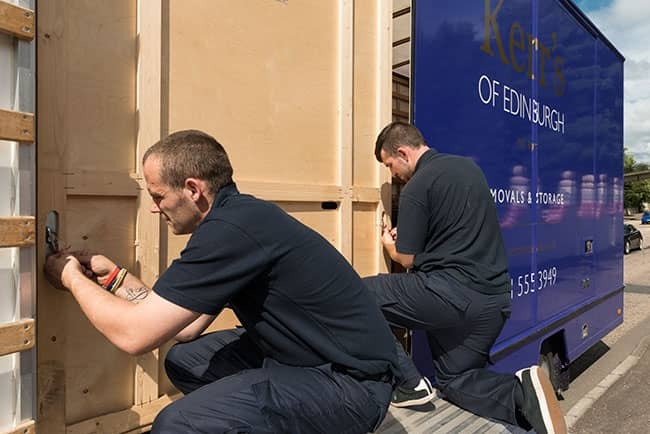 Here at Kerr’s our experienced team have been carefully handling moves across the UK for almost 40 years. Learn more about our removals service or contact us for a free estimate.